Relaxing after breakfast or a glass of sparkling wine in the evening? However you decide to use our Hotel Bar and Fireside Room, they provide a comfy and cosy backdrop for hours of quiet contemplation from 10:00 until 24:00. 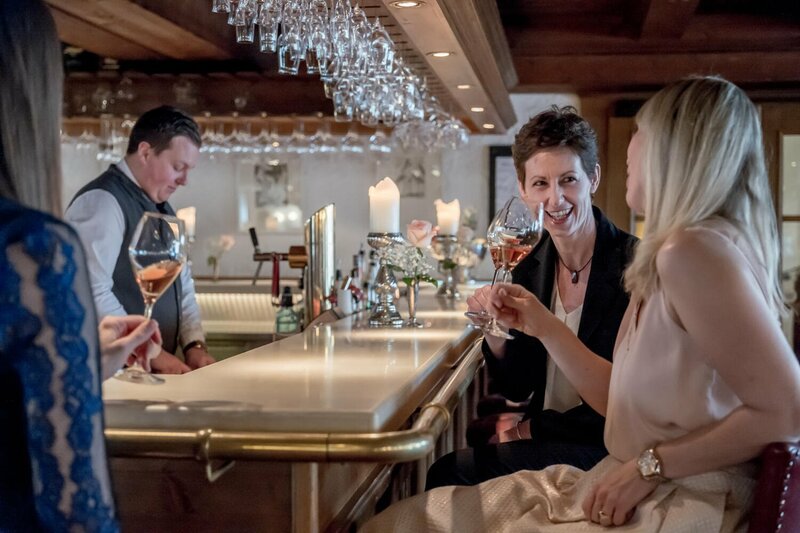 Why not treat yourself to an aperitif at our hotel bar before enjoying our five-course dinner or round off the evening over a fruity cocktail with friends? 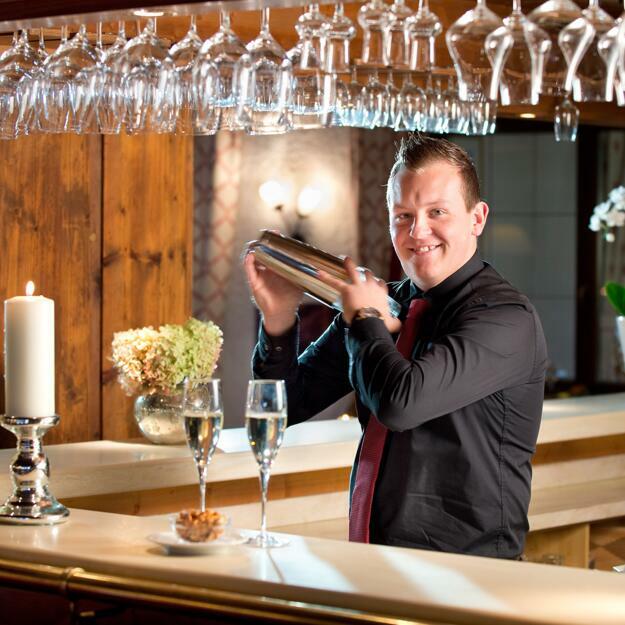 Head barkeeper Nikki and team look forward to welcoming you. Settle down in our "front room"
Our Fireside Room is the perfect place for a relaxing cup of coffee in the afternoon. Sit down in one of the leather chairs and listen to the crackling of the open fire as you flick through the newspaper, read a book or enjoy a slice of cake. Those who prefer to surf online can connect to the free WLAN in the Fireside Room. 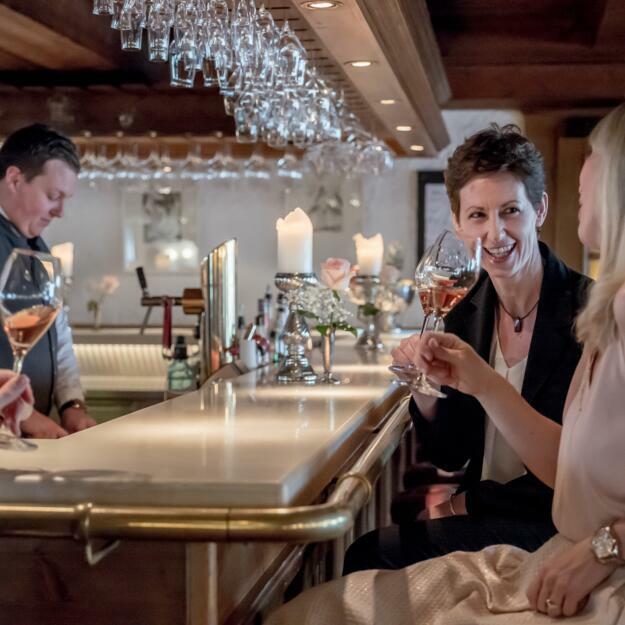 There is no better way to end a great day in Alpbach than with a glass of fine wine or a fruity cocktail. 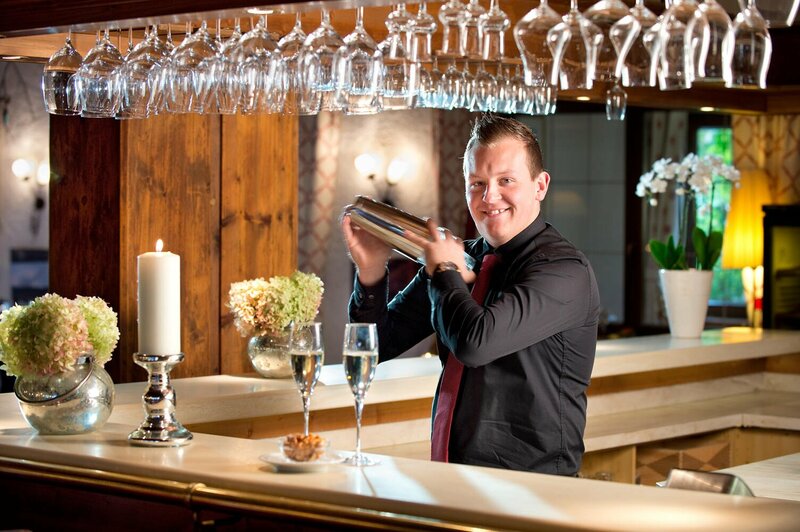 Pull up a stool at our hotel bar and let our expert barman recommend the perfect drink. As well as beers, wines and cocktails, we also have a number of whiskys and schnapps from the local area. 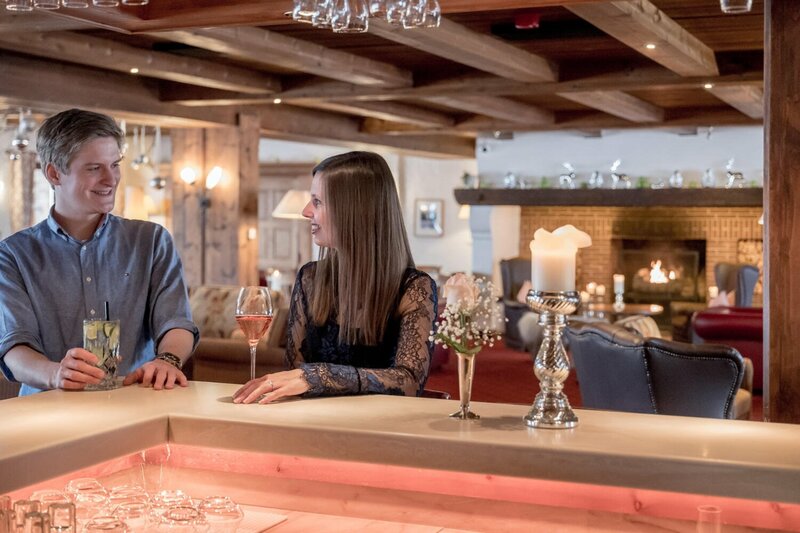 Fancy a relaxing holiday at the Hotel Böglerhof?